The Harris County Sherriff's Office say 24-year-old Larry D. Woodruffe was charged Tuesday with capital murder in the Dec. 30 slaying of Jazmine Barnes. Woodruffe and Eric Black Jr. were both taken into custody on Saturday. While Black was charged on Sunday, authorities didn't charge Woodruffe until additional evidence had been collected. Authorities say Woodruffe and Black mistakenly thought they were attacking people they'd previously fought at a club when they fired at the car with Jazmine and her family. Jazmine's family had identified a white man as the shooter. 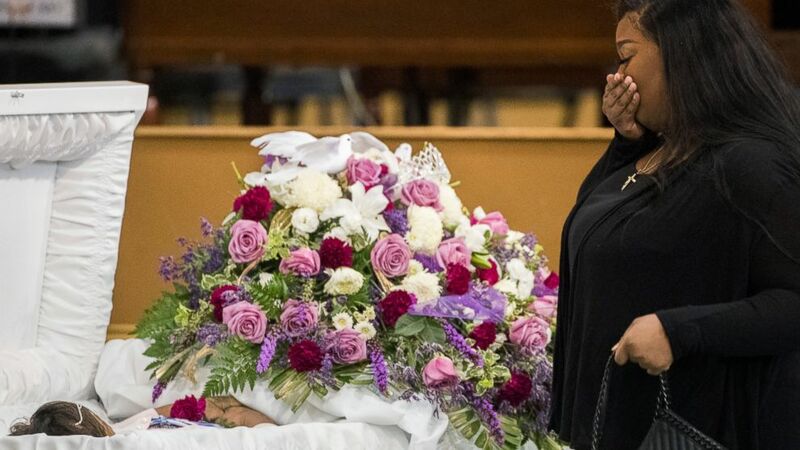 A memorial service is being held in Houston for a 7-year-old black girl who was fatally shot while in a car with her family during an attack that investigators say appears to be a case of mistaken identity. Jazmine Barnes was being remembered Tuesday at The Community of Faith in Houston. Her family initially believed the shooting was racially motivated. The family had described the shooter as a white man. But a prosecutor announced Monday that two black men were suspected in the Dec. 30 drive-by shooting , and that the suspects mistakenly thought they were attacking people they'd previously fought at a club. One suspect, Eric Black Jr., has been charged with capital murder. Authorities have declined to comment on the second suspect. The church planned to livestream the funeral.